WhatsApp’s Web service was launched earlier on this year, permitting those on mobile devices to continue their conversations on desktops, notebooks and tablets. While many Android, Windows Phone, and even BlackBerry users have been able to take advantage, though, iPhone users have not, and this, according to WhatsApp, is to do with platform limitations imposed by Apple. While WhatsApp Web will reach iPhone users at some point in the future, that time is not now, although if you happen to be jailbroken, there’s a way around it. Here, we run through the steps necessary to have WhatsApp Web syncing with your iPhone in a matter of minutes. As per the blog post that first unveiled WhatsApp Web, the Facebook-owned company notes that “unfortunately for now, we will not be able to provide web client to our iOS users due to Apple platform limitations.” It is WhatsApp’s intention to bring iOS up to parity with others enjoying the Web version, but precisely when that will be is currently a matter of speculation. If you are jailbroken, then help is at hand, and here’s how to get WhatsApp Web up and running from iPhone. First and foremost, you will need to jailbreak your device. If you’re running on iOS 8.1.2 or earlier, you can find the necessary details here. Once your jailbreak is complete, head over to Cydia, and run a search for WhatsApp Web Enabler. It’s located within the BigBoss repo if you wish to run a manual search, and is completely free of charge. Install the tweak, and once everything is done, fire up WhatsApp. 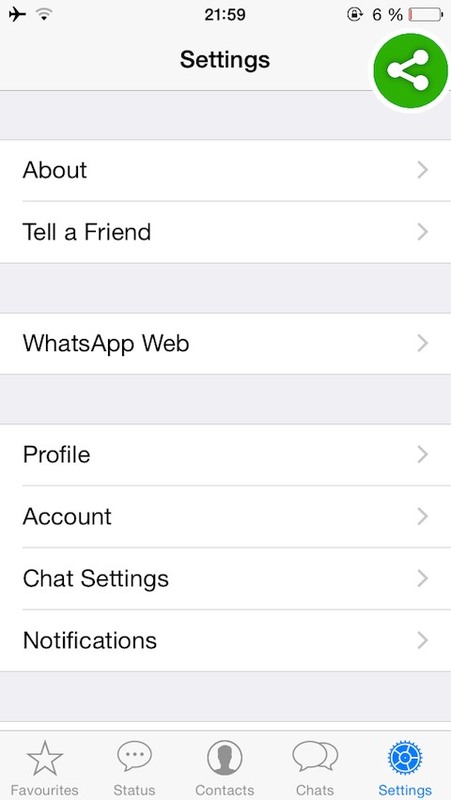 Under the Settings category within WhatsApp, you’ll see a new WhatsApp Web option, as you can see in the image below. Open up a new browser page on the device you wish to use WhatsApp from, and type in web.whatsapp.com. 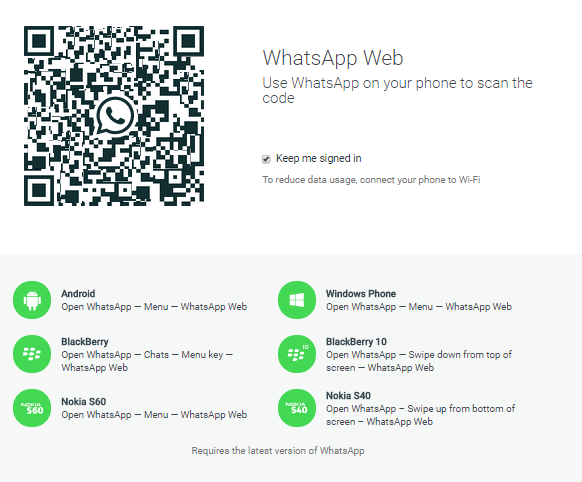 Scan the subsequent QR that appears on the site using your iPhone, and after a couple of seconds, you’ll be able to enjoy using WhatsApp Web for iPhone just like your Android, Windows Phone and BB-using buddies! 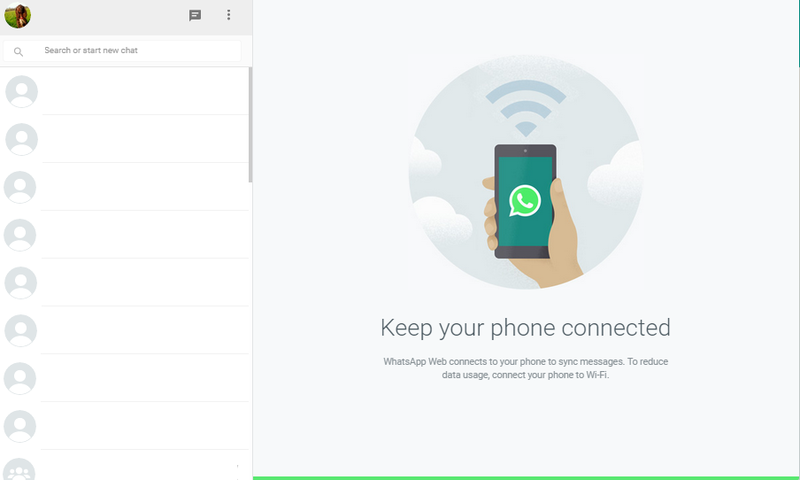 As you can see, your device will need to remain connected to WhatsApp if you do want to chat using the Web version. It doesn’t matter whether your iPhone is connected via Wi-Fi or cellular, as long as it’s reachable. It’s a bit of a pain that Apple’s platform has once again put the brakes on what is a pretty neat social implementation. But it’s not the first time (read: Facebook Home) that the nature of iOS has hindered new features for social networks, and it certainly will not be the last. Still, the good news is that the WhatsApp Web Enabler tweak is compatible with iOS 4 all the way up to iOS 8.2, although it should be noted that only the first two betas of iOS 8.2 are, at the time of writing, jailbreakable.